Today we’re going to cover 10 essential tips you’ll need to know to get a great quote on life insurance. These 10 techniques are what we at TermLife2Go use each and every day to, not only get the best life insurance rates, but also to get our client’s approved at these fantastic rates. Now while we cannot guarantee you the best rate on life insurance, we can help you get the top shot at obtaining the best rate simply by following our 10 innovative life insurance life hacks checklist below. Please be sure to check out our article on comparing life insurance quotes for more. The checklist is focused on answering one of the most frequent questions people ask which is “How do I find the best quotes or rates on life insurance.” Whether you are simply trying to find cheap life insurance or you have been scouring the internet for life hacks regarding life insurance, this article will point you in the right direction. Our top ten list of innovative life insurance life hacks for anyone looking to find the best quotes on life insurance. 1. Cast a wide net! When it comes to buying life insurance and getting the best quotes and rates on life insurance, it pays to shop around! For this very reason, you’ll see that when you request a quote for life insurance from TermLife2Go, you’re going see life insurance quotes from many different life insurance companies. We do this because, while for many the most affordable life insurance company on the list might be right one for them, that same company may not be right for you. In fact, we’ve written an entire article on just this topic alone. In our Top 10 Best Life Insurance Companies article we discuss exactly how we help our clients pick and choose which life insurance company will offer them the best quote (i.e. deal) on life insurance. By approaching your life insurance quote this way, we’re also able to avoid many commonly encountered pitfalls when it comes to applying for life insurance. Pitfalls that could potentially cause your life insurance application to be denied. The above best quotes on life insurance came from the following companies: Protective, American General, Transamerica, MetLife, North American, AXA, SBLI and Minnesota Life. 2. Be True to Thy Self. If you’re working with a skilled life insurance agent with dozens of different life insurance companies to choose from, chances are they’ll be able to find a life insurance policy for you. Some common examples where folks tend to “fib a bit” are factors concerning weight or when some choose to use the term “pre-diabetic” when it comes time to disclose their actual blood sugar levels. However, if you need life insurance with diabetes we can point you to the most diabetic friendly company in the marketplace. Just be honest upfront so we can save you time and money. 3. If You Don’t Know, Don’t Take the Test! There are some valid reasons you should consider choosing no medical exam versus life insurance with an exam. For those who are healthy and know they are healthy, i.e. have recently had a physical exam administered in which blood pressure, blood cholesterol, and blood sugar levels were measured, then taking an exam should not be an issue. However, you still want to make sure you pass the life insurance exam with flying colors. Check out our article Tips to Acing the Life Insurance Medical Exam for more. Oh, I must have gained 10 lbs over the holidays. I swear I don’t smoke. Well… sometimes I’ll have one cigarette when I go out on the weekend, but that doesn’t count! I’m not diabetic, my doctor only prescribes insulin because I’m “PRE-diabetic”. These are the worst excuses because each could have been totally avoidable. Had these clients simply applied for a no medical exam life insurance policy the insurance company would’ve never discovered the elevated health condition in the first place! “If you don’t know what the medical exam is going to find, DON’T TAKE ONE!” Especially if you don’t have life insurance in place already. After you secure coverage with no medical insurance, then take the medical exam. If it turns out you have no health issues, simply replace the no exam policy with the fully underwritten coverage (if it is the better option). Really Rainman? Then why do you have four speeding tickets and one DUI on your driving record! For those who have a “need for speed” or are guilty of making a few mistakes when they were younger, there are a couple of really lenient life insurance companies out there, but we need to know about your driving record right away! For those who have recently been convicted of a DUI or may have several DUI’s on their record, it may still be possible for you to secure a true life insurance policy. So… Please don’t immediately settle for what is called accidental death insurance. An accidental death insurance policy may be your best bet depending on your situation, but these types of policies should always be considered an “last option” or a supplemental option to tradition term or whole life insurance. 5. I’m in excellent shape! I even won a Gold Medal in the X Games! Well, we’re happy to hear that you’re in good enough shape to participate in extreme sporting activities, but that doesn’t mean that the insurance companies are going to be thrilled! In fact, participating in what could be considered a dangerous hobby could very well be a reason for some life insurance companies to decide not to offer you a life insurance policy regardless of how healthy your are! For this reason, we strongly recommend, that if you do participate in what some might call a dangerous hobby, give us a call prior to shopping for your life insurance quote because in all likelihood, your best options will most likely come from one of three different life insurance companies. Before you get too upset about #6 on our checklist for obtaining the best quotes and rates on life insurance, let us first explain! If you’re planning on going a cruise to the Caribbean, you’ve got nothing to worry about. Chances are, most life insurance companies are not going to be too thrilled about offering you great life insurance quotes! In fact, you’ll probably be immediately denied regardless of how healthy you are. So… if you have any immediate travel plans to somewhere where you might feel that an insurance company could be nervous about, give us call and let us know about it. There may be one or two insurance companies available to you that simply do not include travel plans in their underwriting guidelines. 7. What Do You Mean My Credits No Good…Bankruptcy! This is always a fun one, because people really don’t like it when they’re told that their previous bankruptcy may not only affect whether or not they’re approved for life insurance, but it may also affect the price that they’ll have for pay for their life insurance! Yes we do know that a bankruptcy really doesn’t have anything to do with how healthy one is (despite the fact that unpaid medical bills typically account for over 50% of today’s bankruptcies). In most cases, the problem that insurance companies have about insuring those with current or recent bankruptcies has little to do with an applicant’s overall health. Rather the decision not to offer life insurance coverage to these individuals will usually stem from some type of internal cost analysis which the insurance carrier themselves have decided upon. For a further more detailed explanation, please feel free to visit our article, Life Insurance with a Bankruptcy, or simply give us a call and let us know about your situation. Despite it being more difficult to find life insurance coverage for folks with current or recent bankruptcies, we at TermLife2Go do know several different life insurance companies who will readily accept your application. 8. I Think I May Have Waited Too Long! Number eight on our checklist to obtain the best quotes and rates on life insurance goes to those who feel like they may have waited too long before looking for a great rate. Well… It’s not really that bad! After all, there are only so many perfectly healthy individuals in the world for the insurance companies to insure! So… in order for a life insurance company to be competitive, it’s going to need to take a few chances. Heart attack and stroke survivors. The real challenge for those with a serious pre-existing condition is first to find a life insurance agent who has the ability to work with dozens of different life insurance companies so that they may find one that is willing to take you on as a client. The second challenge for a high risk applicant is to find, an life insurance agent that isn’t working in a massive call center environment whereby a difficult case like yours may simply not get the attention it needs! Quotes are based on a male in good health as of July 6, 2015. The above quotes came from the following life insurance companies: Protective, American General, Transamerica, MetLife, North American, and Minnesota Life. 9. It’s Legal Where I Live! Oh, and lay off the marijuana (i.e. cannabis, Mary Jane, herb, weed, hemp, etc…)! Now that we’ve got that out of the way, let us just state for the record that we know that they’re literally millions of Americans who use marijuana both daily and occasionally for a variety of reasons. Without getting into a moral debate about Marijuana, let’s just say that at TermLife2Go, we’re only interested in knowing if our clients use marijuana so that we can direct them to the right life insurance company specifically for them. Marijuana users can easily find life insurance and don’t need to keep their use a secret, provided that they know where to look. Additionally, for those who actually have a marijuana prescription card, know this, the insurance companies will have access to this information through a “prescription database check”, and will in all likelihood want to know more information on the condition that your marijuana use is treating (which is why it’s often more difficult to get those who are legally using marijuana insured, than it is for those without medical marijuana prescriptions). Our article on Recreational/Medical Marijuana Use and Life Insurance, goes into much further detail regarding this topic. In addition, our agents at TermLife2Go are also experts as well so please feel free to give us a call and ask any question you may have. 10. That Happened 10 Years Ago! I’m a Totally Different Person Today. Date of the last felony. Date of release from prison/parole. 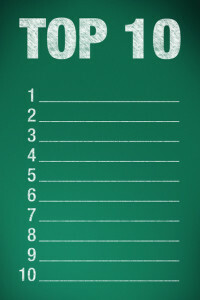 And there you have it, the top 10 checklist… to get the best quotes on life insurance. Don’t be, this is what we’re here for. We specialize in finding the best company at the best price—for you, based on your unique health and lifestyle. There is no one size fits all company and there is no one size fits all policy. We work with multiple companies who offer a wide array of the most common types of life insurance, including term, whole life, and universal life insurance. This article was written by TermLife2Go. We are an agency that represents many of the country’s best life insurance companies. We have no vested interest in promoting one company over another. Our top priority is the fulfilling the needs of the policy seeker. Because we work with so many of the top life insurance companies, we are in a position to help you identify the insurance company most appropriate for the needs of you and your family, giving you the top chance at obtaining the best quotes and rates on life insurance. We do this by first getting to know you and your situation, and then based on that, we help you decide which company and policy will be best for you. Thank you for reading our article, Top 10 Checklist To Get the Best Quotes and Rates on Life Insurance. Please leave any comments or questions below. Wow, I never knew that participating in a dangerous hobby could cause a life insurance agency to deny you of a health insurance policy! I guess I’ll have to tell my son to either quit his skateboarding stunts or at least start wearing protective gear. We are looking to get a health insurance policy, and if something like that were to affect our rates or ability to get one, then I am all for making the necessary changes. Hopefully, we can find a company that is willing to work with our specific situations. I think you may have “misread” our article here. You see, here at TermLife2Go, we don’t sell “health” insurance. So… we really don’t know what “will” or “won’t” affect your ability to qualify for that type of coverage. Instead, we like to help folks who have been diagnosed with pre-existing conditions like heart disease or type 1 diabetes qualify for LIFE insurance. Particularly if they’ve been turned down by a major insurance carrier in the past. Previous Post: Life Insurance with a Heart Valve Replacement.